Loaded with advanced features, luxurious options like leather upholstery, and with enough room for a baseball team, the Chevrolet Suburban LT SUVs for sale in Naperville, IL offer drivers all the power, performance, and amenities they could want, and then some. 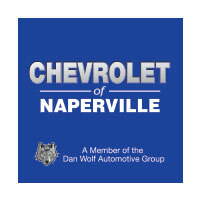 Explore our inventory, experience the Suburban’s “effortless steering forces” on your test drive, and then keep reading to see why, when you want a great deal on everything your Suburban needs, you need to come to Chevrolet of Naperville. The Chevrolet Suburban LT SUVs on our Naperville lot offer access to the features you need – expansive cargo capacity, entertainment systems, advanced infotainment, and seating for as many as nine adults – all in a comfortable, upscale space. It’s easy to see why the Suburban has been a top choice for drivers for more than 80 years and why families are so eager to finance one today. And because we make buying easy with online tools that will help you search for the rebates and incentives, search for specials, and calculate the cost of your purchase you’ll walk away knowing you got the best deal around. You can even take advantage of coupons and special offers on the parts and services you need to keep your Suburban running strong for years to come. So, go ahead and load up the crew, we’ll be here to help you take care of everything when you get back. Contact us today to learn more.